Viking Café Iceland & Cabins is a little Oasis at the bottom of mount Litla Horn near Hofn, in the southeast of Iceland, run by Florian Kleine (from Berlin, Germany) and Ómar Antonsson (real descendant of the vikings, ask him about it). 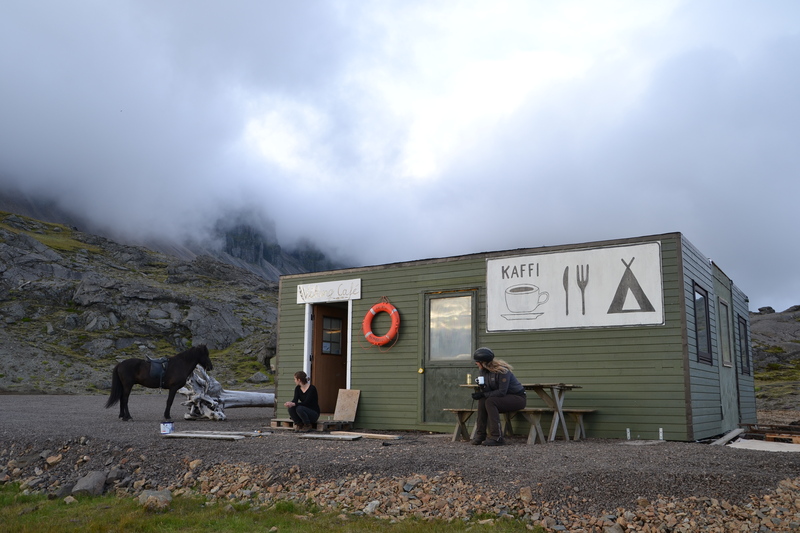 We offer one of the best coffees in Iceland, a fine choice of delicious cakes, waffles and sandwiches, a breathtaking view over the bay of Vestrahorn to the one side and Vatnajökull (largest glacier in Europe) to the other and soon (spring 2013) the coziest cabins in Iceland. If you haven’t been there, you’ve definitely missed out on something! See ya at the Viking Café!